After a long week sitting at a desk and staring at work-related files and notes, time with my family is always special, but nothing gives me greater relief and peace of mind than some time on the water. This summer was a little different than in the past, since I had to alter my work schedule to accommodate my son's summer camps resulting in losing my Fridays off. Combine that with family obligations and other scheduled events on the weekends, and you can easily see how limited time on the water can be. So this past Friday when my work schedule returned to its normal bi-weekly Friday off routine, you can imagine the sense of relief and anticipation I was feeling as I pulled up to one of my favorite local fishing holes. While most people are tied to their work schedules and hectic pace of life, I was able to escape for about six hours. As I unloaded my Hobie Quest 13 and loaded up the few items I brought along, I noticed a VDOT worker watching me with curiosity. Once I pulled out my three rod arsenal from Bull Bay Rods, you could see a noticeable smile come across his face as he realized what I was getting ready to do. As I began to drag my setup to the water's edge, I overheard him say, "Man that looks like fun.....". I paused, turned around and smiled from ear to ear as I replied, "There's nothing better!" He stood and watched in what I can only assume was a pang of jealousy as I paddled to my own little corner of the pond in search of my much needed Zen for the next six hours. Today's target area was a choke point where the main channel meets up with a lily pad field. 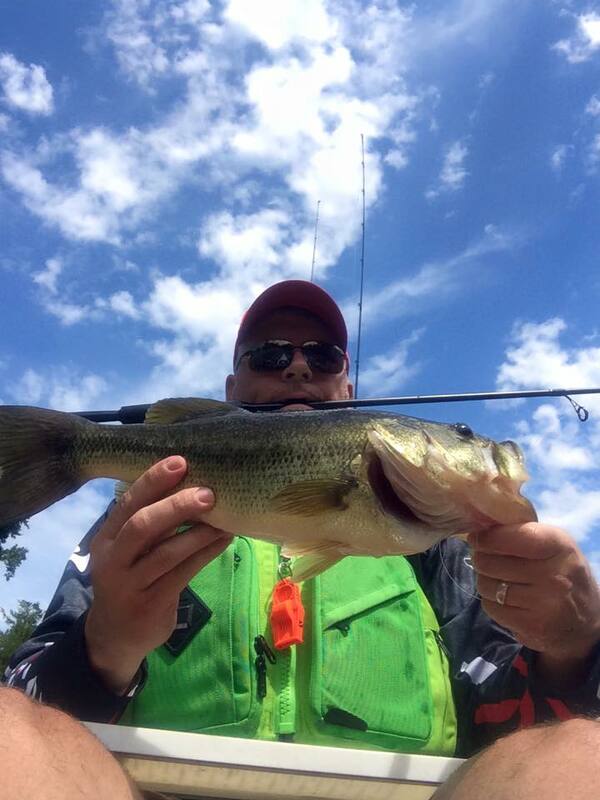 It always holds fish, but it can be a slow day if they are not in a feeding mood. The challenge with this spot is that you can visibly see the fish moving as pads are shifted to and fro from their movements, but you can't always cast to them because the pads are thick and above the water line. You're frequently startled as the silence and solitude is interrupted with an audible explosion of water as a predator chases its prey. Casting into this menagerie and chasing these "sounds" is often followed by frustration as your line becomes wedged into that crease each lily pad leaf possesses. Patience and "open" casting lanes are the key if you're efforts are to be rewarded. After a few more minutes of chasing these slimy predators, I opted to move back out to the creek mouth and channel swing. I started working the pad edges in earnest with the vibrating jig and Clone Frog and was rewarded with a nice bass with beautiful dark green hues. When I wanted to change things up, I worked the weedless Hammershad through the same areas and was rewarded several times over the course of the day. 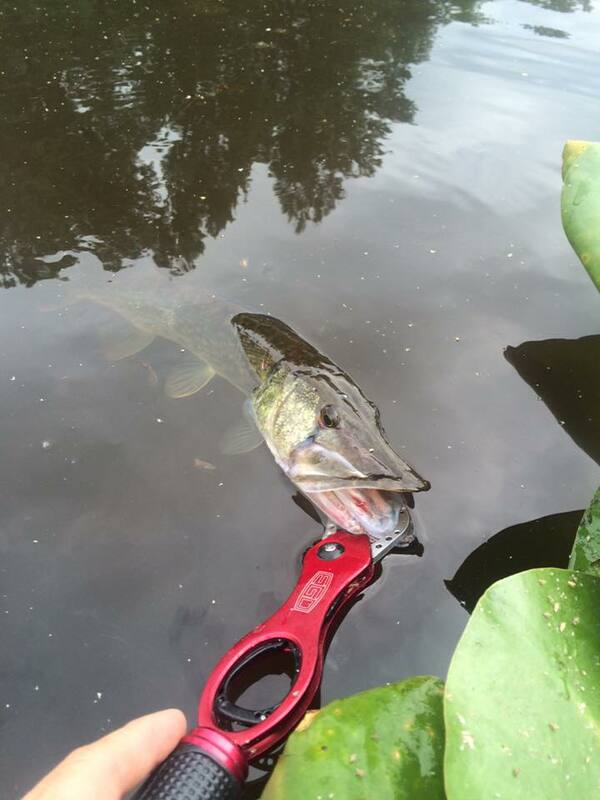 Some of the bass came in the heart of the pads, some in the open casting lanes in the pads, and some on the edge of the pad line. While the Clone Frog produces for me regularly, the clear winning pattern on the day was high sticking the Hammershad through the pads. As the day wore on and the air temperatures reached it's zenith, it was my signal to wrap up this outing. I paddled my way back to the launch but made a couple stops along the way at past spots that usually hold a fish or two. Using the same one-two punch of the Clone-Hammer technique, I was rewarded with one last fish at my last stop. This one was laying in wait in a hole among the pads over my shoulder in the image below. It was a nice way to finish off the day. Final tally for the day was fifteen fish - three chain pickerel and twelve bass - the largest being a 20" chain pickerel and a 17.5" largemouth bass. A wonderful day of peace and tranquility as the hustle and bustle of daily life passed by. When you find yourself needing to unwind, the magic of the water is truly amazing. 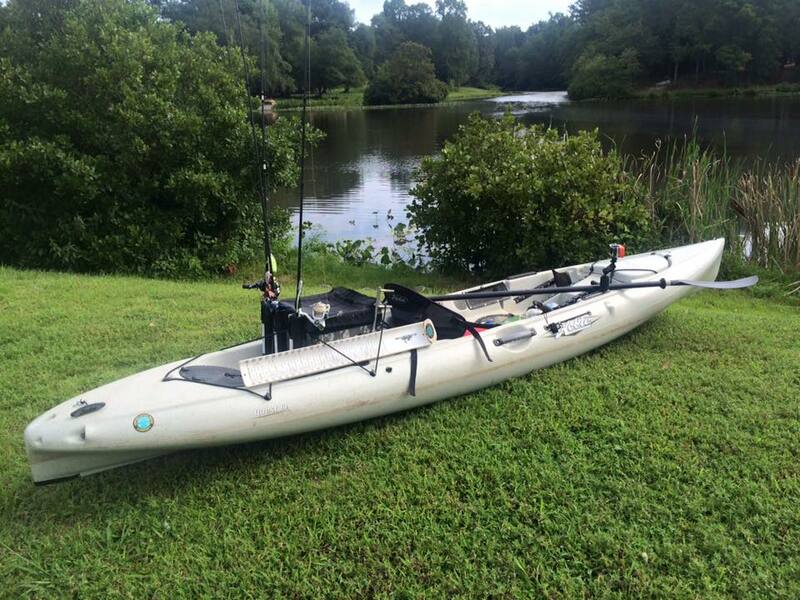 As I loaded up my gear and secured my kayak, I took time to give thanks for a work schedule that allows me time to pursue my passion for kayak fishing while minimizing the impact on my family time. 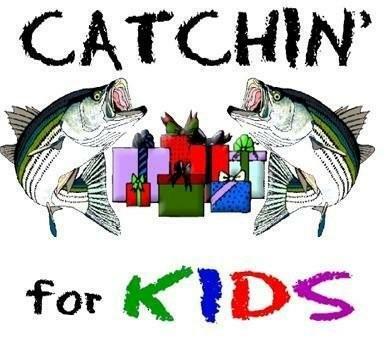 Each year, Catchin' For Kids holds two tournaments in the Tidewater area here in Virginia. The most notable being the annual Rockfish Tournament held the first weekend in December, but the other one, the Angler's Club Challenge held in August, is one where the area's best anglers form teams to compete against one another in fifteen different fish divisions with points awarded to the top three fish by weight. 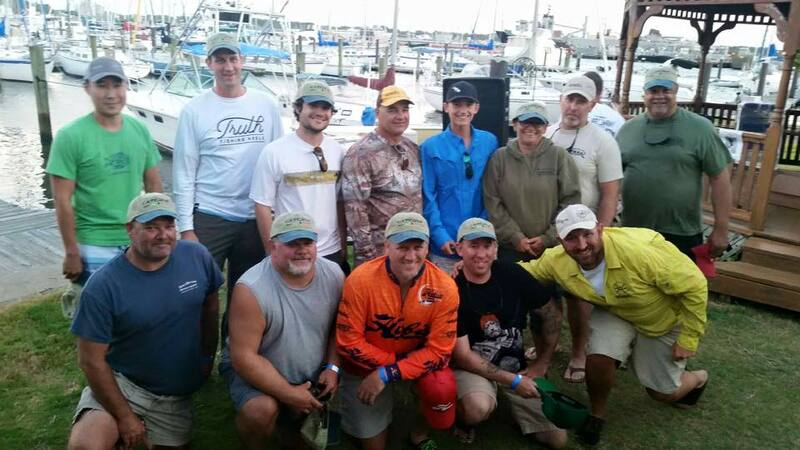 The Tidewater Kayak Anglers Association fields a team each year and competes against the other powerboat-based teams. Over the years, TKAA has steadily improved its game and in recent years has put the boaters on notice. The first year I participated was 2012, and we finished in fourth place. In 2013, we blitzed the field and tallied the largest single points total in the history of the challenge at 32 points, with four category sweeps and pointed fish in several other species categories. In 2014, we followed up our previous year's win with a second place finish, and we proved a point that we were a team to be reckoned with. This year would prove to be no different in that we were there to compete. What most of the competitors hadn't planned on was the weather. Well, Mother Nature threw everyone a curve ball with winds gusting to 30+ all over the region, and rain thrown in just for good measure. The majority of the target species on the list were now mostly off limits for the power boaters in the interest of safety. Species like cobia, spanish mackerel, and king mackerel. Even the spadefish, sheepshead, triggerfish, bluefish, flounder and sea bass were mostly spared on this day due to the tough conditions around the inshore wrecks and bridges. Our very own "bridge" crew contemplated braving the conditions, but erred on the side of caution and tackled a local inshore spot instead. This crew is known for jaw-dropping weights turned in each year for their sheepshead alone, so you know it was a tough pill to swallow for them. I was a part of a four-man team assigned to the Eastern Shore. We chose a spot that is known for a variety of species to give us the best chance at contributing points to the team total. When we launched, we had a planned a two-pronged attack. Ted and Mack, the flounder whisperers, chased the flatties, while Tom and I targeted some of the smaller species on the list, namely spot, croaker, and roundheads. We fished hard through the cold rain and strong winds, but managed to land several fish that made weight at the weigh in. Throughout the day, we all caught a variety of fish, some worthy of keeping, others just bycatch providing a tug on the end of the line. Some of the bycatch included: baby sea bass, several houndfish, small bluefish, a blowfish, oyster toads, a pinfish, some fat grunts, and a couple silver perch. While those were mostly unwanted, our team managed to catch six points earning fish and seal the win for TKAA for the second time in the last three years. The end of the day includes raffles and some ceremonial asides with various contributors. The food at the event is always a hit and is a nice way to finish the day. The ultimate winners are the kids themselves, but it's still nice to compete and represent the kayak angling community. It just goes to show you that if you fish hard and stay focused, you never know when your contributions will be the difference! It truly was and still is an honor to fish with these skilled anglers in a format like this! I'm proud to have these anglers as fishing companions, but even more so to call them friends!